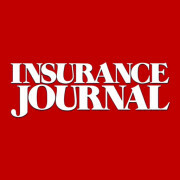 ← Can a Self-Insured Retention (“SIR”) Constitute “Insurance”? Wooddale Builders, Inc. v. Maryland Cas. Co., 722 N.W.2d 283 (Minn. 2006) is the leading construction defect case in Minnesota. The case involved several insurers (I represented West Bend) and over eighty separate water intrusion claims. In that case, the court recognized, as West Bend argued, that in applying the pro-rata time on the risk allocation method, the insured could be responsible for a pro rata share of the loss during periods it was self insured or otherwise without coverage. This holding was consistent with several other jurisdictions which had reached the same conclusion. Id. at 292 (citing Stonewall Ins. Co. v. Asbestos Claims Mgmt. Corp., 73 F.3d 1178 (2nd Cir.1995), modified on other grounds, 85 F.3d 49 (2d Cir.1996); Diocese of Winona v. Interstate Fire & Cas. Co., 89 F.3d 1386 (8th Cir.1996) (applying Minnesota law). See also Domtar, Inc. v. Niagra Fire Ins. Co., 563 N.W.2d 724, 733, n. 5 (Minn. 1997) (noting that “[i]n pro-rata jurisdictions, many courts . . . allocate losses to self-insured periods”); Security Ins. Co. of Hartford v. Lumbermans Mut. Cas. Co., 826 A.2d 107, 125 (Conn. 2003) (citing numerous cases and holding that “it is proper for the trial court to order the insured to reimburse its insurer . . . for periods of self-insurance”); Lincoln Elec. Co. v. St. Paul Fire and Marine Ins. Co., 210 F.3d 672, 690 (6th Cir. 2000) (insured responsible for period where the insured decided to “go bare” with self-insurance); Owens-Illinois, Inc. v. United Ins. Co., 138 N.J. 437, 479, 650 A.2d 974, 995 (1994) (“[w]hen periods of no insurance reflect a decision by an actor to assume or retain a certain risk . . . to expect the risk-bearer to share in the allocation is reasonable”); Commercial Union Ins. Co. v. Sepco Corp., 918 F.2d 920, 924 (11th Cir.1990) (addressing liability for defense costs in view of a statute regarding insolvent insurers); Insurance Co. of N. Am. v. Forty-Eight Insulations, Inc., 633 F.2d 1212, 1224 (6th Cir.1980) (considering liability for defense costs), clarified, 657 F.2d 814, cert. denied, 454 U.S. 1109, 102 S. Ct. 686, 70 L.Ed.2d 650 (1981); Fireman’s Fund Ins. Cos. v. Ex-Cell-O Corp., 662 F. Supp. 71, 76 (E.D.Mich.1987) (addressing liability for defense costs); IMCERA Group, Inc. v. Liberty Mut. Ins. Co., 47 Cal.App.4th 699, 739-40, 50 Cal.Rptr.2d 583, 607 (1996), rev. granted, 54 Cal.Rptr.2d 41, 917 P.2d 1164 (1996); Outboard Marine Corp. v. Liberty Mut. Ins. Co., 283 Ill. App.3d 630, 641-42, 219 Ill. Dec. 62, 69-70, 670 N.E.2d 740, 748-49 (1996). However, the Minnesota Supreme Court also agreed with West Bend’s further position that a pro-rata portion of the damages should not be allocated to an insured during periods of time in which insurance was not available to the insured in the marketplace. Id. See also Stonewall Ins., 73 F.3d at 1203‑04 (declining to allocate losses to the insured after 1985, when asbestos liability insurance was no longer available); Allan D. Windt, Insurance Claims & Disputes: Representation of Insurance Companies and Insureds, § 6:47 (4th ed. 2001) (citing cases for the proposition that the insured is allocated a share of liability “only under those circumstances that a failure to allocate a part of the liability to the insured would truly result in a windfall to the insured, by treating [the insured] the same as [other] insureds that chose to purchase an appropriate amount of insurance”). It is only “[w]hen periods of no insurance reflect a decision by an actor [i.e, the insured] to assume or retain a certain risk, as opposed to periods when coverage for a risk is not available, to expect the risk-bearer to share in the allocation . . ..” Security Insurance Co., 826 A.2d 107 (Conn. 2003) (citing Owens-Illinois, Inc., v. United Ins. Co., 650 A.2d 974, 995 (N.J. 1994)). Thus, an insured is not obligated to contribute a pro-rata share of the defense costs (or indemnity costs) for periods of time where insurance coverage was unavailable to the insured. Stonewall Ins., 73 F.3d at 1203-04; Owens-Illinois, Inc. v. United Ins. Co., 650 A.2d at 995. Consider a disease process spanning 25 years, which first inflicted injury in 1981 and will result in a claim or death 24 years later in 2005. Assume that Insurer A issued a policy for 1981, Insurer B issued policies for 1982, 1983, and 1984, NGC [the insured] was uninsured in 1985 (either because it elected not to buy insurance or because the limits of its coverage were exhausted), and no policies were issued for the 20 years from 1986-2005 (because of the unavailability of asbestos insurance). Although the damages in Stonewall extended from 1981 to 2005, the years where insurance coverage was not available in the marketplace (1986-2005) were not counted for purposes of determining the parties’ pro-rata share obligations. Thus, Insurer A in the Stonewall illustration was obligated to pay 1/5th of the claim, Insurer B was obligated to pay 3/5ths of the claim and NGC, the insured, was required to pay 1/5th of the claim. “This method applies a fraction that has as its denominator the number of years in which both injury-in-fact was occurring and insurance was available, and as its numerator the number of years within that period when the insurance was in effect (treating NGC as a self-insurer).” Stonewall. In Wooddale, the availability of liability coverage for water intrusion claims after 2002 was not considered by the district court. The Minnesota Supreme Court remanded the case to the district court for a determination of whether “water intrusion insurance coverage was available to [Wooddale] after November 2002.” Id. at 299. On remand, two of the involved liability insurers contended that Wooddale could have obtained CGL coverage in the marketplace after 2002 which would insure against water intrusion claims. The jury disagreed and, thus, Wooddale was not required to contribute. This entry was posted in ADCF Policy, CGL, Coverage and tagged Allocation, CGL Coverage, Commercial Liability Coverage, Construction Defect, Gregory J. Johnson, Insurance Law, Self-Insured Periods, Wooddale. Bookmark the permalink.